I've been suffering from Anxiety and Agoraphobia for a while now, and some of you may know I'm pretty open about it because its something that is quite hard to cope with alone, which I don't want people to feel like that and make them know that you are not alone in this, and you WILL beat this, no matter how long the journey.Since my last anxiety post,I've been getting a lot of emails and feedback, which has helped me greatly in what you want to read and know about, and also any questions that I'm able to answer.I thought the best way to do this, was do a monthly post of this, which things will be added over time on that month or I'll do a whole summary post of that month on the 28th, giving enough time for me to answer you.I'm still open to you emailing me confidentially, whether that's just someone to talk too or your own personal reasons, these emails will not be shared with anyone else at all and will be strictly between us. So to begin with, I'm going to do a little catch up post, 3months from today as a lot has been missed and will make more sense to you of what is going on.After having a therapist for a while,I was signed off in August and due to be transferred to a psychiatrist for extra support as my time period with the therapist had ended.I was told it would be about 4weeks, which I was fine about and carried on doing the things that were helping me get better, however that 4weeks turned into 3months until I was finally seen by someone to just "access" me.During that 3month wait period without support from the mental health team, I relapsed, going back to square one of feeling anxious all the time, not going to go out and the worst: depression.Not only was this causing stress on myself, it was also causing stress on my family too as they hated seeing me like this but were also angry at how the mental health services had left me this way.My worst fear in those 3months and I'm sure we have all had it, is that fear that your going to hit rock bottom so hard, your going to be carted off and put in a psychiatric ward.Now I have no problem with people that have been to these because they can be beneficial and help people, but its the thought of being taken from my home, my parents, my safehouse, which absolutely terrifies me.At first I was being strong about the wait, but when it hit october I was borderline going to snap, because it was the same routine and the same feeling everyday that my mind would overthink, feeling low, exhausted and no one to help you get out of this dilemma.This is what scares me, getting to that point again where I'm let down by these people, that I'm finally going to snap. How did your anxiety and agoraphobia start? I suffered from panic attacks during my teens which were put down to "hormones" by the doctors.I was diagnosed with anxiety disorder last year, as an indecent with a formal employer caused me to have numerous panic attacks on a daily basis to which I realised this wasn't right and couldn't be put down to hormones. My agoraphobia started when I started to restrict myself from places where I would normally have panic attacks, mostly reminding me of them, getting to the point where I would have them closer to home, making me restrict myself even more. I don't have the same symptoms when having a panic attack, what does this mean? Everyone has different symptoms before or during a panic attack.This is the bodies response to fight or flight, which is a physiological response of a threatening situation releasing those symptoms, for example: nausea, dizziness, sweating, stomach cramps etc.It can then cause your body to panic more because in its own way its trying to "detect" what is going on to cause the fight or flight response within the body. Before I learnt how to deal with panic attacks and before the symptoms would start, I used to tell myself: "I'm not panicking,I'm not panicking" when in fact I clearly was, causing my brain to think "well hang on if your not panicking what else is going on?" then bam, everything goes into overdrive and I would be 10x worse and feeling worse too.If your starting to feel panicky or your going to have an attack, start the techniques to calm yourself beforehand to reduce the chance of having one or it not being as bad. What techniques do you use to calm down? I only use the breathing techniques which at first I completed hated, because it didn't do anything and I felt like a puffer fish while doing them.My therapist at the time, told me to practice up to at least 15minutes a day, just so my body could get used to calming down.At first I was like "pfffft" this is going to be so silly, and with two cats and a dog roaming around, I was worried they would be a huge distraction of doing this.Doing this successfully for the first week, I did feel very relaxed, and on the second week their was stress related stuff going on and as soon as I felt that panic feeling start,I began the breathing techniques and guess what?It worked!Their have been other techniques I've tried to calm myself, but in my opinion this one is the easiest and works the best, its just trying each one that suits you. 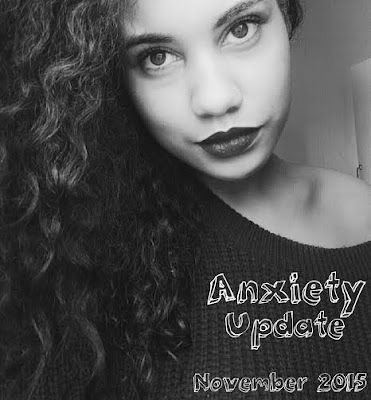 I have anxiety, but haven't been diagnosed with anxiety disorder, what do you think? Does it get worse overtime? The only time it can get worse in my experience is when your not getting the help that you need or your surrounded by negative and destructive people.Once I removed these people, things started to get a lot better, and sometimes it feels like your not getting any better because that is the anxiety's way of putting you down and making you feel like you can't do this. December last year up to until around July,I was on the road of getting better, mainly because I ended an emotional yet destructive relationship that I was in for nearly 3years, and feeling that "weight off your shoulders" was a huge improvement.Try and get yourself surrounded by positive people, because not only will they support you, they make the best of friends too.